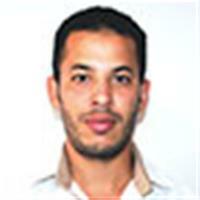 Youssef Chouni, born in Morocco in 1985, is one of the young leaders in Oued Zem. He holds a Baccalaureate in mathematical sciences, a computer engineering license with Honors graduation and a Masters in Business Intelligence with Honors graduation. Youssef is a PhD student and professor of Informatics, and an activist for more than 10 years. He is the founding member of the Civil Alliance of Youth for reform in Morocco in 2012, the president of the Moroccan Coalition for young researchers. His goal is to leave a positive mark on the history in his country with a change towards the good of the Moroccan society.